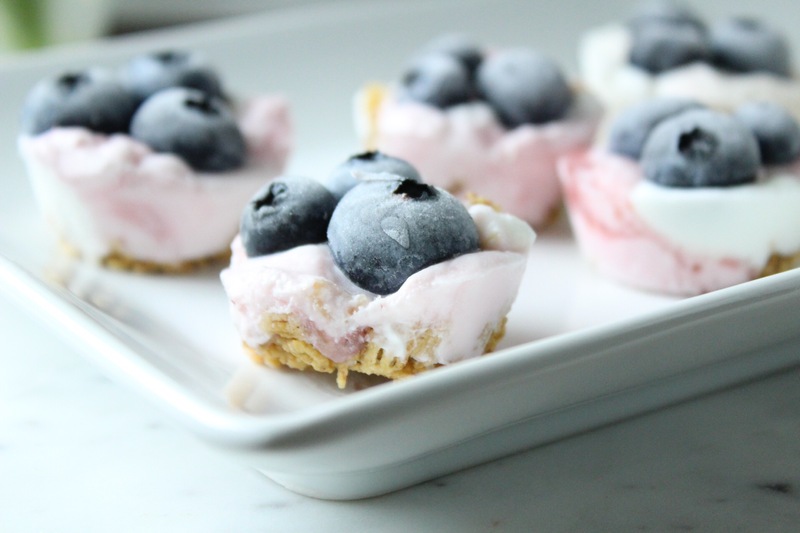 These little yogurt cups are delightful and super tasty, not to mention healthy! So eat away! They are perfect to snack on any time of the day and make a great teething snack for your baby. Spray mini muffin tin with cooking spray. In a small bowl, mix crushed cereal and melted butter. Spoon about 1 tsp crushed cereal into each cup. In 12 of the mini muffin cups spoon 1 teaspoon of the strawberry yogurt and, in the other 12, spoon 1 teaspoon of the peach yogurt. Evenly distribute the vanilla Greek yogurt among the 24 muffin tins and swirl yogurts together with a knife. 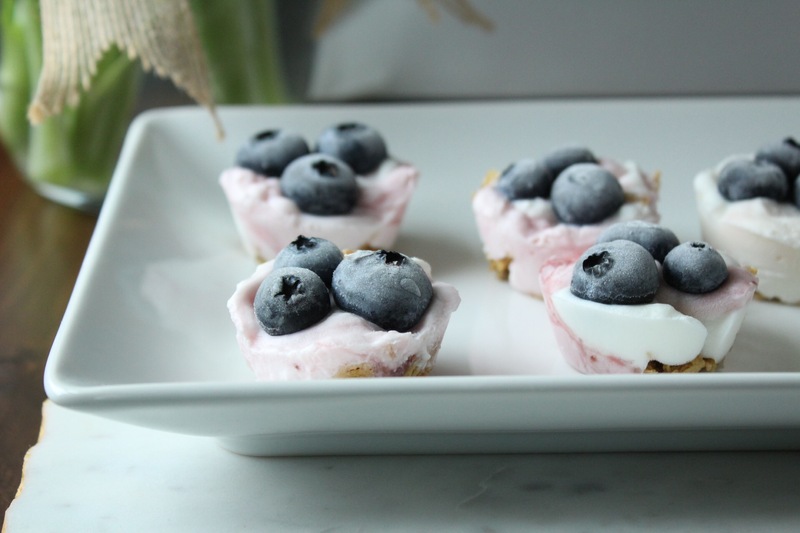 Top yogurt cups with blueberries. Cover with foil or plastic wrap and freeze for two hours. Allow to stand at room temperature 5 minutes before removing from muffin tins. Store in freezer bag.